Since this blog has the word “explorations” in its title, I find it compelling to share my experiences from the vantage point of the 2017 United Nations International Year of Sustainable Tourism for Development. 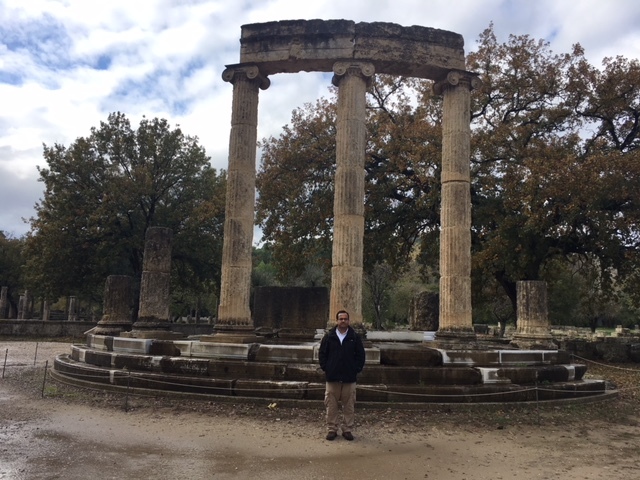 I’ve been fortunate to travel to several countries both as a child and adult which prompted me to self-reflect upon my tour of Spain in the spring of 2017. This does not make me a special person, but a traveler in life on this planet we call earth. The slideshow above shows the magnificent architecture and beautiful countryside of Madrid, the capital city as well as Southern Spain. It is a country rich with culture and history, whose people are warm and friendly. Despite being a non-Spanish speaker and largely thanks to fellow travelers on my tour, I was able to navigate around Madrid and various Southern cities. My trip was a vacation, but I turned it into a project through my work in psychotherapy and volunteerism. I am not a trained therapist nor am I a certified peer specialist, but over the course of my adult years, I have gained increasing exposure to the world of mental health services. I’ve enjoyed travel through my work and have learned that in many ways it is similar to coaching. It is worthwhile, to focus on the “process” so that the results will show for themselves. Perhaps, one of the reasons why I made the slideshow was to acknowledge and give importance to the challenges of travelers with mental health considerations. Particularly solo-travelers as the issues of navigation, housing, meals and medication adherence may be difficult without a relative or friend to assist. Explorations are not only for explorers to visit or live in distance lands, but they can also be in one’s own backyard, town, city, state or country. As long as I am able to travel, there will always be something to write and reflect on which leads me to believe that perhaps my dream job would be as a travel writer or blogger. This month is the death anniversary of Ataur Rahman, my grandfather (on my father’s side) who led a full life and left a tough act to follow. I have referenced in earlier blog posts how both my grandfather and father were football (soccer) enthusiasts in their younger days. My grandfather worked in the public sector all of his professional life and one of his many roles was as the Inspector General of Police. 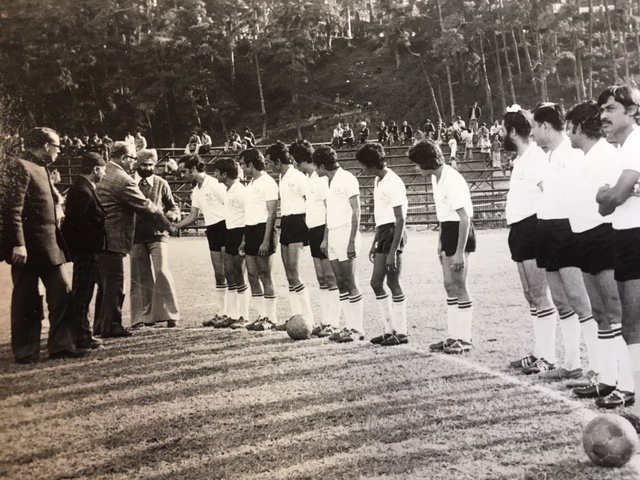 Ataur Rahman (my grandfather) shaking hands before the start of a police-sponsored soccer match. 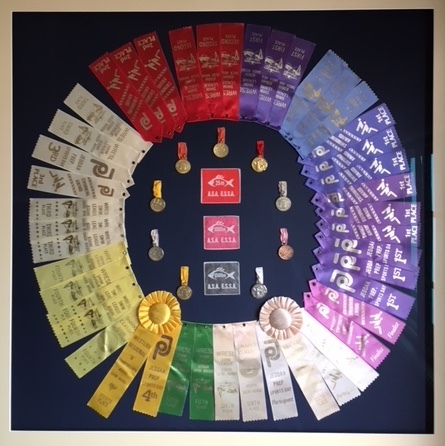 Based off the accounts of family members, he was a senior police officer who enjoyed organizing sports events for fellow police officers and was asked to present prizes. 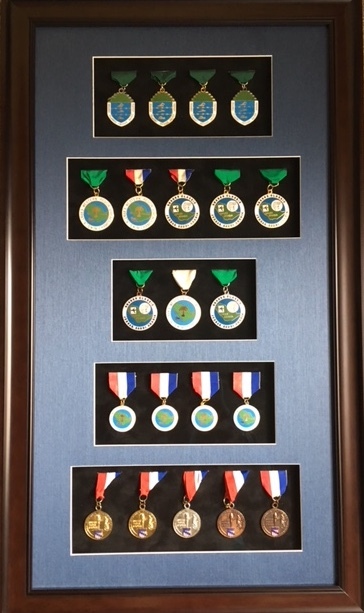 This was an effective community building tool as it helped foster friendships among officers and their families as well as improve the morale of officers striving to uphold the rule of law in the state. 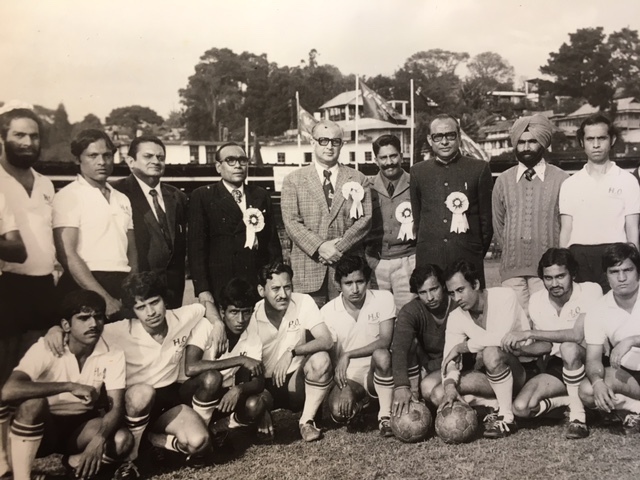 Ataur Rahman (my grandfather) in center back with dignitaries and police soccer teams. I was not born when many of these happenings occurred, but do remember his later years as a Member of Parliament and then as a retired public official. While he was passionate about his work, his family life was just as important if not more. We miss him dearly and know that he is in a better place. Promoting Volunteerism: How to Recruit and Manage Dedicated Volunteers? Over the last several decades, there has been a lot of research, training and advocacy about volunteer recruitment and management in nonprofit manuals, websites and handbooks. A more recent strategy for recruiting volunteers and staff to become dedicated personnel is through the creation of online videos. For example, I recently registered and attended an orientation to become part of the 2017 Lowell Music Festival Volunteer Family. Here is a video produced by the Festival volunteers. I found the online volunteer registration to be easy and efficient, plus the professional guidance and delivery of training from the National Park Service staff before the start of the 2017 Lowell Folk Festival was superb. My motivation for volunteering at the event was primarily to build upon my commitment to volunteerism for peace and development. This is the 31st year in which the Lowell Folk Festival has been running, mostly thanks to many dedicated volunteers and generous sponsors who keep the festival free of charge to the public. 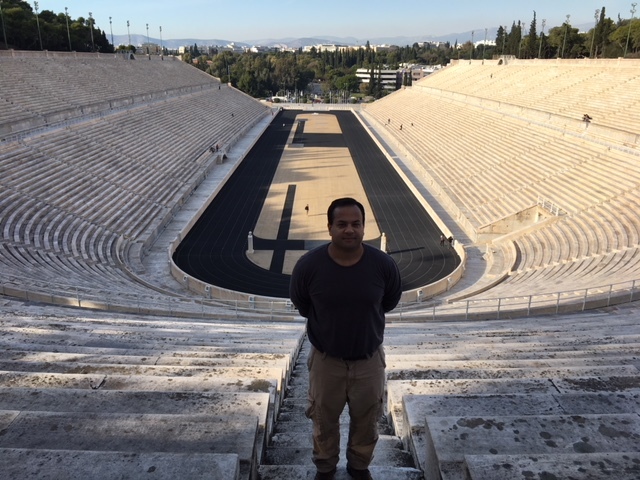 My focus for this blog has been explorations in sport for development and peace, however, I have made occasional references to musical events and concerts as a means for bringing people together in peaceful settings. If you are unable to attend the Festival, many talented volunteers have created a tremendous Festival website with a wide array of information, including compelling music videos of the artists line-up to attract future Lowell Folk Festival doers and goers. I was introduced to the Lowell Folk Festival through my parents, aunts and uncles which brought the event to my attention and have also attended the Lowell Summer Music Series. Both the Festival and Music Series are worth it! 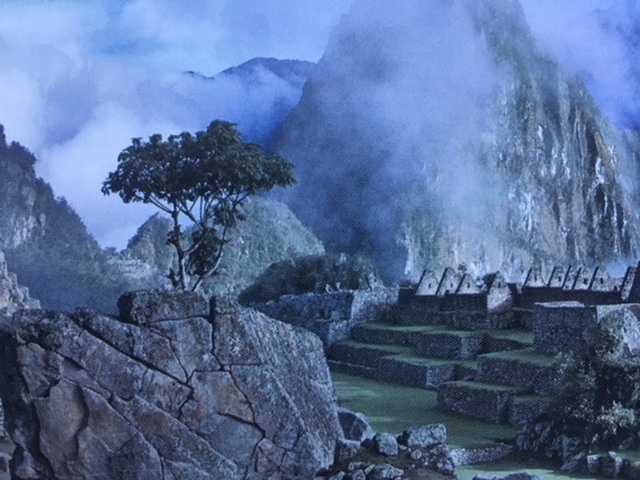 I recently returned from a 2 week tour of Southern Peru with stops in tourist destinations such as Cusco and Machu Picchu as well as the Sacred Valley. This was my first visit to a South American country and I chose Peru for a number of reasons. First, old friends and colleagues inspired me to visit, second, I was fascinated by Machu Picchu and third, I wanted to use up my vacation time wisely. Hiking up to Machu Picchu has always intrigued me. Machu Picchu, Peru – a UNESCO World Heritage Site. There were several highlights from my stay in Peru, but I would like to focus on the most striking issues relevant to sport for development and peace, that I was fortunate to witness. Throughout my travels in Asia and Africa, I have had little experience interacting with indigenous people, but while in Puno, Peru a visit to Lake Titicaca‘s Uros island gave me a glimpse of the impact of modern life (including sport and recreation) on the Uros people. Uros people on Lake Titicaca, Peru Photo credit: Tour company, 2017. Traveling with a group of Western tourists, we were taken by boat from Puno to Lake Titicaca where we visited Uros island. When we arrived on the island we were greeted by a warm elderly woman dressed in bright, traditional attire who guided us to a semi-circular seating area. After being seated on reed benches, she gave us an overview of life on the island of Uros and its culture with the aide of a translator. Interestingly, the island itself is made of reeds which are grown and stacked to produced a floating surface which is finally completed by playing sports, such as soccer and basketball to make the “ground” compact. This gives a whole new meaning to the concept of turf, especially in a remote region of the world. 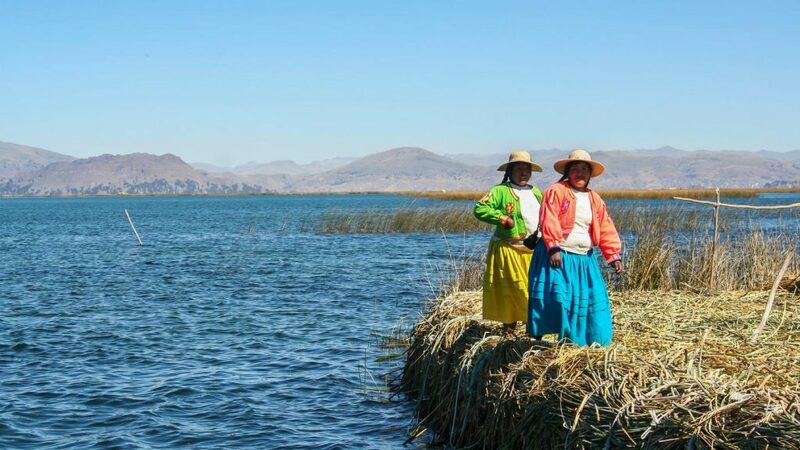 The Uros are connected to the modern world by modern communication and transportation systems, yet they retain their culture and way of life with a touch of sport.